O'Gara and Wilson, Booksellers: Ready for Halloween? Us too. Ready for Halloween? Us too. See that scythe leaning beside Jerome? I don't know where it came from, but it's a nasty piece of work. I'm hoping that if anyone tries to rob the store, they'll either run screaming when they realize that we're guarded by Death himself ... or they'll trip on that scythe, cut themselves accidentally and get tetanus. We don't get robbers much here at O'Gara and Wilson, but it kinda makes me wish we did. 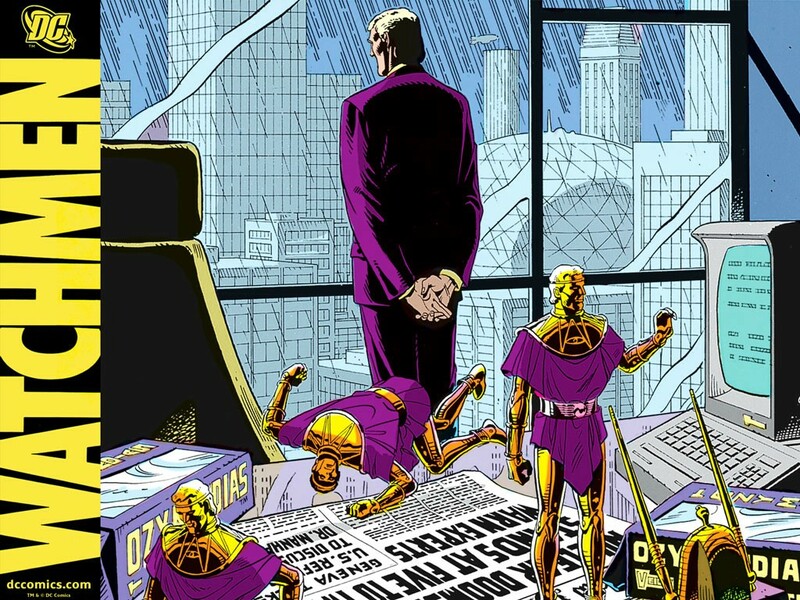 ... is shown in the above picture with his desk covered by little commercial action figures of himself. 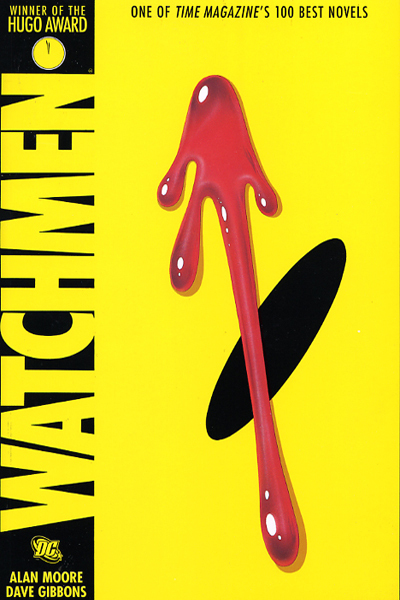 "Watchmen" was inevitably made into a movie, and I recently saw it on an excellent list of 10 disturbingly brilliant graphic novels. Buy it from us for $12.50. I'm glad we got another week of warm days -- although I said in our last blog entry that I was scared I wouldn't get to go to the Dunes, it was warm enough this past weekend that I frolicked on the beach. But soon enough I'll be needing this week's Collector's Item! Want to grind ice the old-fashioned way? 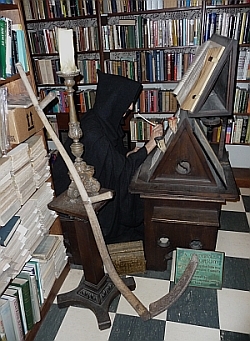 Thanks to our unique bookstore, you can have that experience. You can make snow-cones powered only by the strength of your arms! 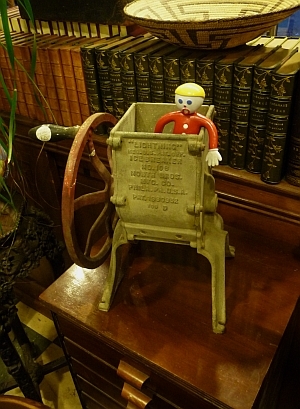 You can't have our action figure of Mr. Bill, though. We're having too much fun putting him in dangerous situations around the store. Look how he clings to the side of the ice grinder, desperately trying to save himself from its teeth! 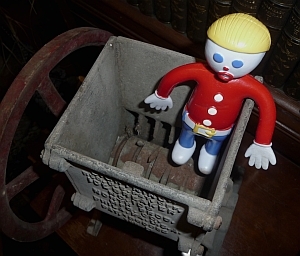 I think my next blog theme should be "blackmailing readers into saving Mr. Bill by purchasing our wares". Hmm .... The possibilities abound! Come back in two weeks and you'll see just how much they abound. Halloween: I can't stop loving it. Oh, the saucy Roaring Twenties!